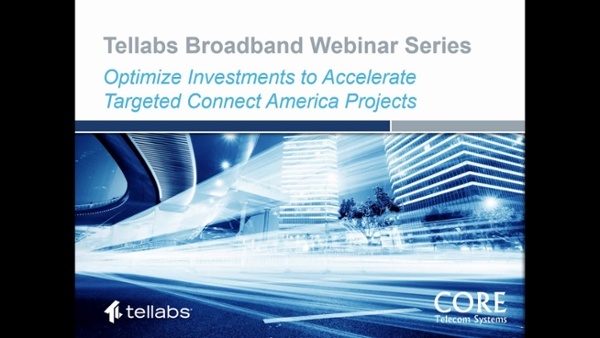 Watch our 45-minute webinar to learn how your existing Tellabs 1000 MSAP footprint can be better leveraged to optimize investment, and accelerate targets, for your Connect America Funded projects. Your Tellabs 1000 MSAP is ready to go! You can download a copy of the webinar slides right here.